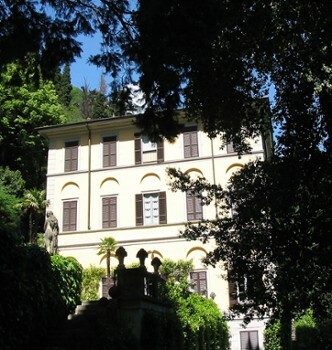 Villa Fontanelle is near Moltrasio on the Lake Como, Lombardy, Italy, about 50 kilometres (31 mi) from Milan. Presently owned by Russian billionaire Arkady Novikov, this villa was once home to Gianni Versace who lived there until his murder in 1997. It can only be seen from the water by boat (or personal invitation). The 4 story, yellow painted building was built in the 19th century by Lord Charles Currie. There is a 1.2 hectares (3.0 acres) of land attached to it including a park and an anchorage. It was completely renovated in 1980. Hundreds of oil paintings and other artwork are part of the interior and exterior. The estate is owned by Russian millionaire Arkady Novikov since 2008 who bought it for a price of 33 million Euros. It was previously owned by Gianni Versace from 1977 until his murder in 1997. Before his death, celebrities such as Sir Elton John, Sting and Madonna were guests in the building. Since the death of Versace, only American singer Jennifer Lopez and her husband Chris Judd spent their honeymoon there. It is not open to the public but cna be viewed from the lake. Gianni Versace’s Lake side villa in Moltrasio was reputedly sold for about $52 million in 2008, ($5-6m over the asking price) to a Russian multi-millionaire; Arkady Novikov, a "flamboyant" restaurateur affectionately (known as the "Blini Baron)." 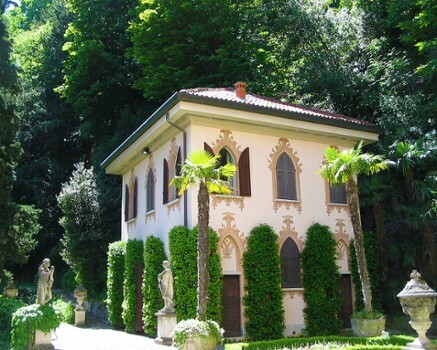 The Villa itself "Le Fontanelle" was originally built in 1776 and owned prior to Versace by the Cambiaghi family. 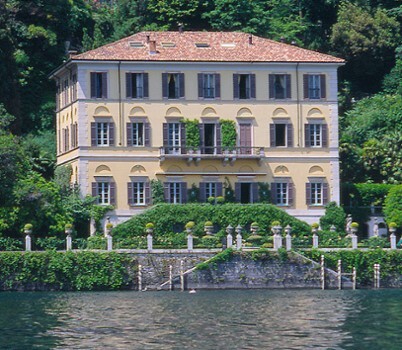 Versace purchased this magnificent villa in 1977 and completely refurbished the property ay huge expense. 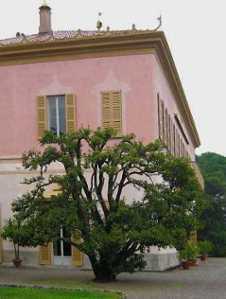 He restored the elegant neo-classic style true to their original design and Versace supervised every element of the restoration and furnished the villa personally. The grounds and garden restoration however was left to Sir Roy Strong, a respected and honoured "landscaper and garden designer". 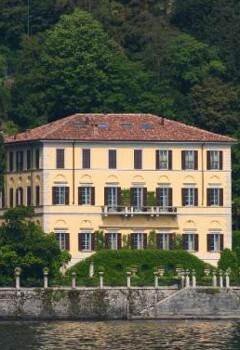 The Lake Como villa was Versace’s favourite place and was often in residence and the villa was often used for celebrity parties. 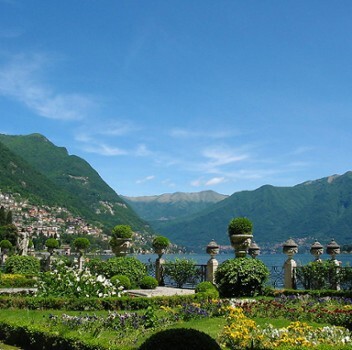 Nearby Things to Do include: Hikes & Walks such as Hiking Montepiatto and Porta Travaina; Parks & Gardens such as Villa Pizzo Gardens and Garden in the Valley; Water Activities such as Lido di Moltrasio and Non Solo Barche Boat Rental; Towns such as Cernobbio and Blevio; Villas such as Villa Pizzo and Villa Erker Hocevar; Churches such as Sant'Agata and SS. Martino e Agata.